An Australian Senate committee investigating corporate tax avoidance is set to present transparency proposals on Monday that are expected to include a "name and shame" register for tax-dodging companies, reports The Sydney Morning Herald. Also on the table will be mandatory disclosures of of tax payments over a certain limit, thought to be set at AU$100 million. "There is a major flaw in our tax system that is enabling some of the biggest companies in the world to evade billions in tax that should be paid in Australia," said Senator Sam Dastyari​. "It's time we name and shame our worst tax dodgers." The forthcoming report is the result of an Australian government investigation first revealed in April, which put Apple, Google and Microsoft under review for questionable tax practices. One month later, the "crackdown" was widened to30 companies. Specifically, corporations are accused of shifting profits to offshore subsidiaries registered in countries with lower tax rates. The report will reportedly come with 18 recommendations, which include the transparency measures alongside proposed annual disclosures of Australian revenue, tax payments, tax deductions and government write-offs. According to the publication, one of four measures incorporated incorporated by the Australian Securities and Investments Commission would allow that body to communicate suspicious tax activity to the Australian Tax Office without first consulting the company in question. Currently, legal standards require the ASIC inform the target corporation of such matters. Apple is well known for its ability to funnel massive amounts of cash through friendly tax regions with little to no tax implications. As it pertains to Australia, Apple is currently thought to be moving profits through a subsidiary called Apple South Asia Pte Ltd. in Singapore, where it reportedly managed to negotiate a ten-year tax incentive plan rumored to be below five percent. Other corporations based in high-tax countries like the U.S., including many multinational tech firms, participate in similar practices, though Apple is consistently singled out due to its high-profile public image. 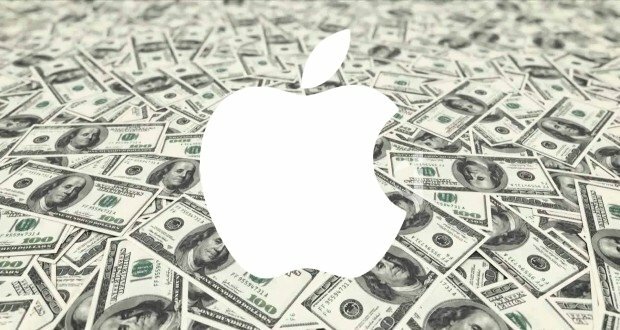 In 2014, a report discovered Apple offloaded some AU$8 billion out of Australia tax free using the "Double Irish with a Dutch Sandwich" accounting method from 2002 to 2013. Australia, however, has a history of leveling heavy fines for suspected tax dodgers and in 2012 charged Apple with $28.5 million in back taxes.